What is the NVRQT Campaign? Short for "never quit," the NVRQT campaign, run by Pediatric Cancer Research Foundation, helps to raise awareness and funds for children's cancer research with the help of Chicago Cubs pitcher, Jon Lester. Our commitment is simple: to strike out pediatric cancer. It is our warriors and patients whom we fight by funding life-saving pediatric cancer research. In 2012, World Series champion pitcher and cancer survivor, Jon Lester, made the commitment to partner with the Pediatric Cancer Research Foundation's (PCRF) to provide inspiration for those who suffer with cancer, and support the researchers who choose to dedicate themselves to finding a cure. Your support is the key to moving science forward. 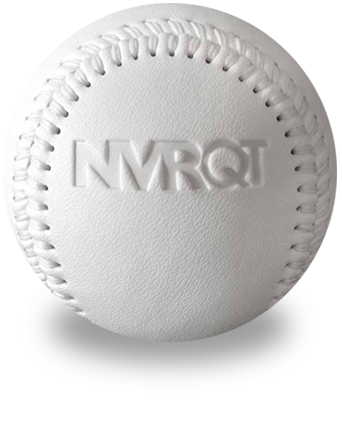 The white-on-white NVRQT baseball serves as a symbol of hope, purity, and play for those affected by childhood cancer. These five letters remind us that in the battle against childhood cancer, we can NEVER QUIT. We cannot give up our hope. We cannot give up our support. We cannot give up our play. Because, we're not only playing for children who've been diagnosed with pediatric cancer, but also for the countless researchers who are working tirelessly to advance cancer treatments and find a cure.